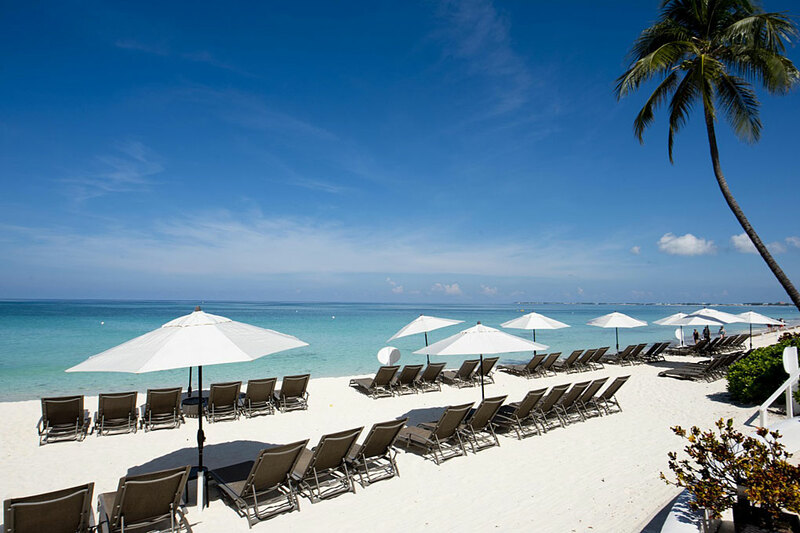 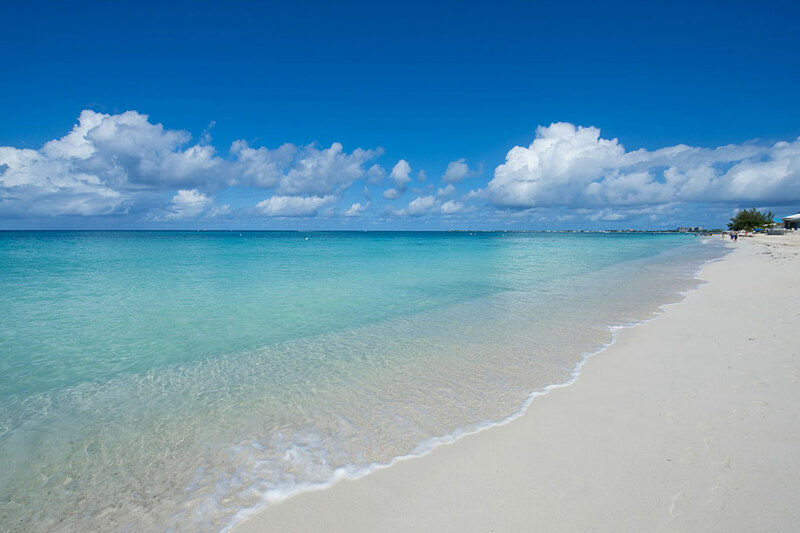 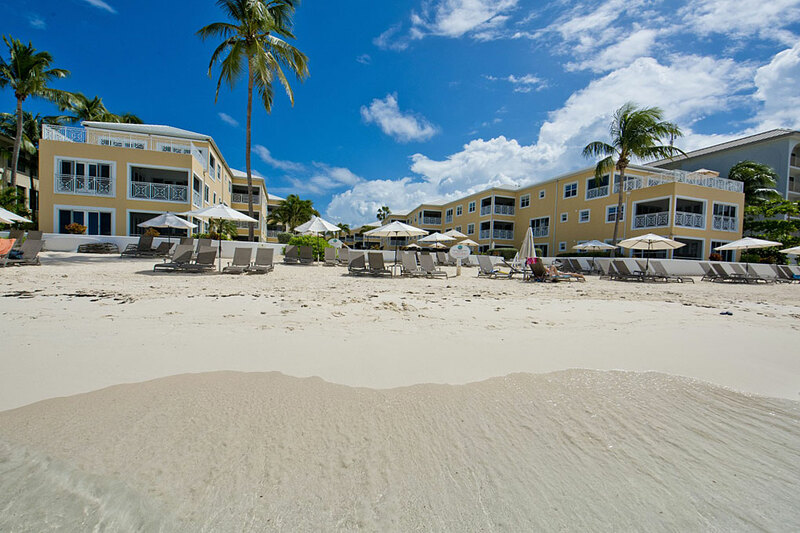 The legendary Seven Mile Beach is known for its pristine aqua blue water, white powdery sand and breathtaking sunsets. 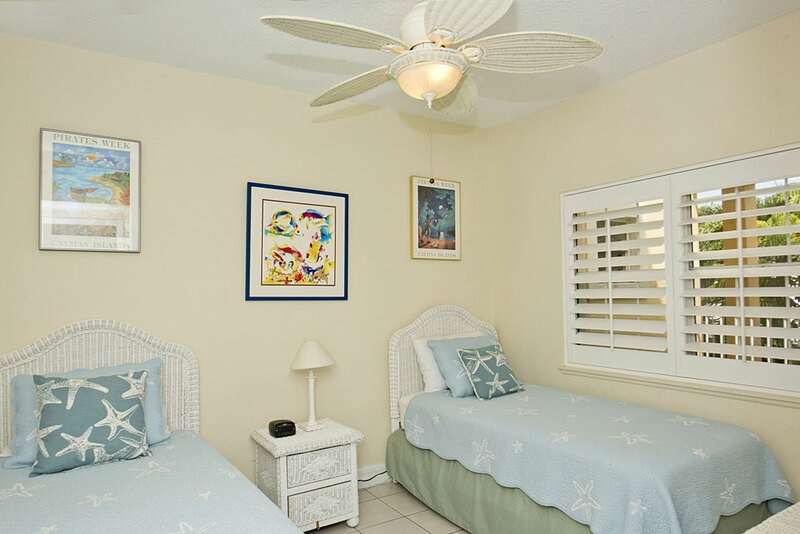 This second floor, two bedroom with two bath villa has enough space to sleep up to 7 people with a King bed, two twin beds and two pull out sofas in the living room. 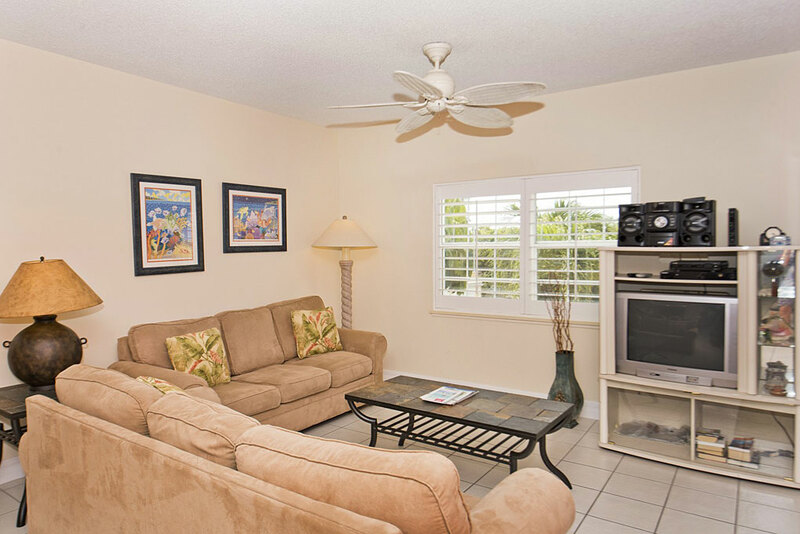 Cable television is provided in the living room and in the master bedroom. 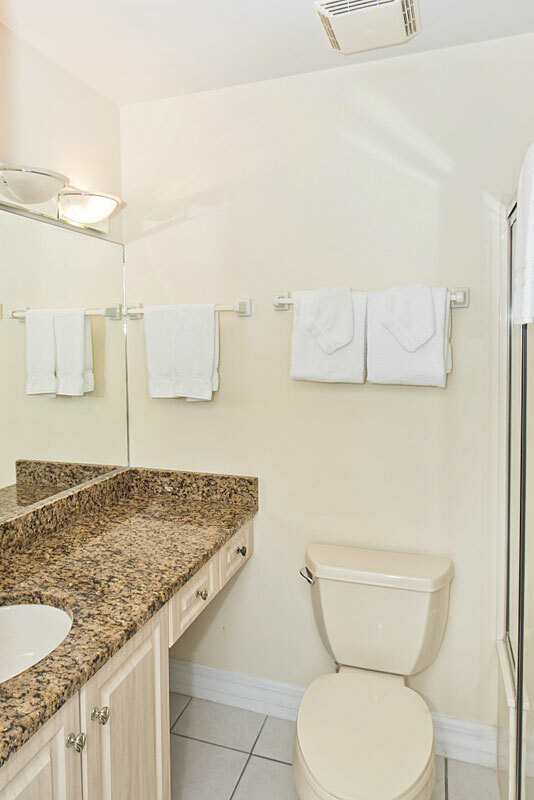 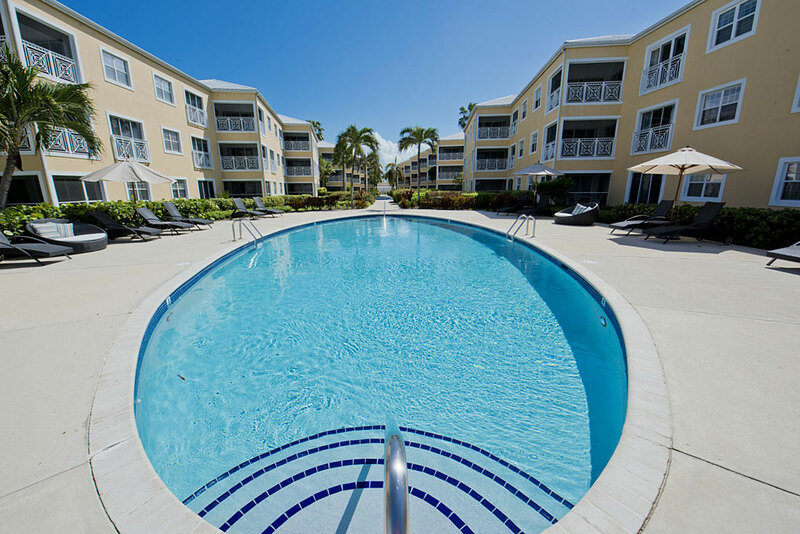 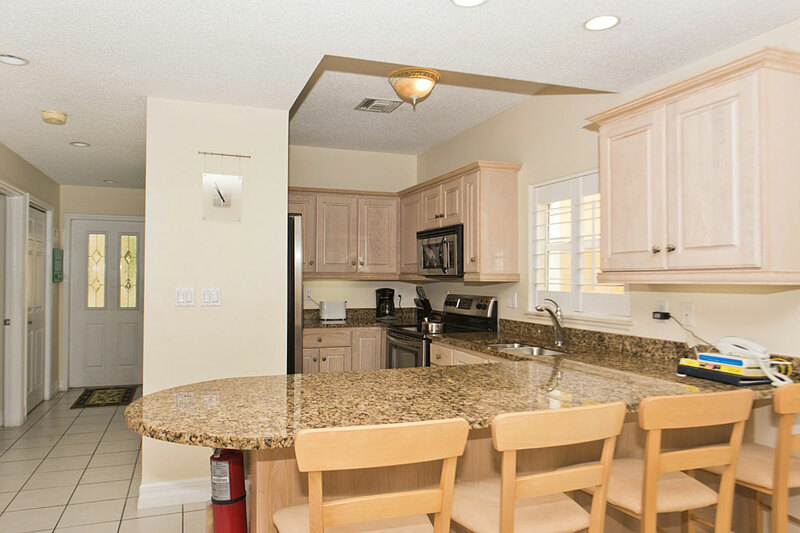 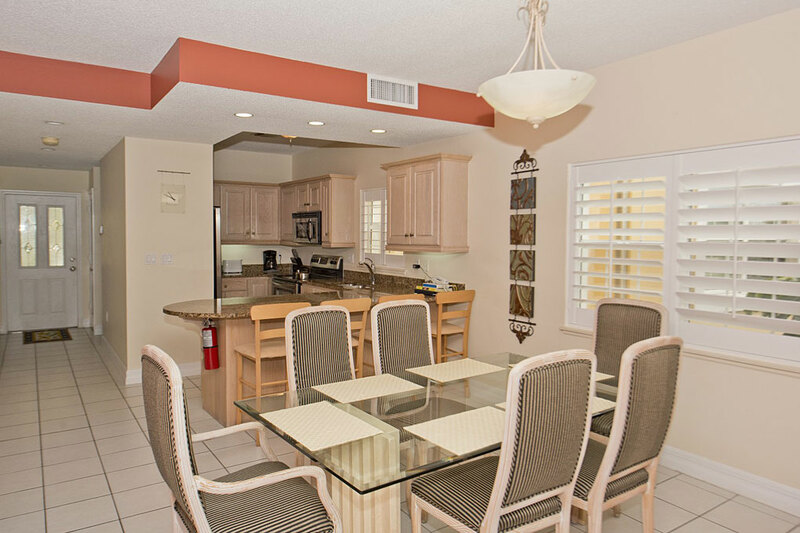 With modern furnishings, stainless steel appliances, tile flooring, granite counter tops, washer/dryer, free local calls and free wireless internet service you may enjoy the comforts of your own home while relaxing in paradise. 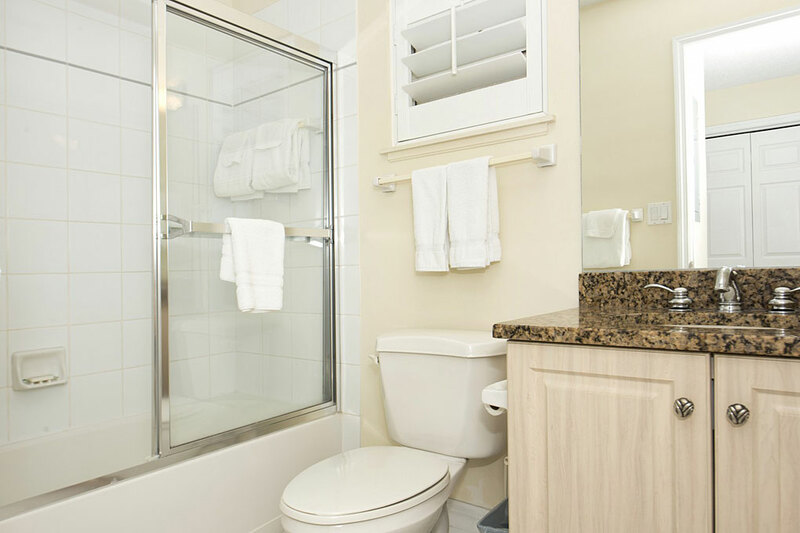 We also provide daily maid services except on Sundays and public holidays. 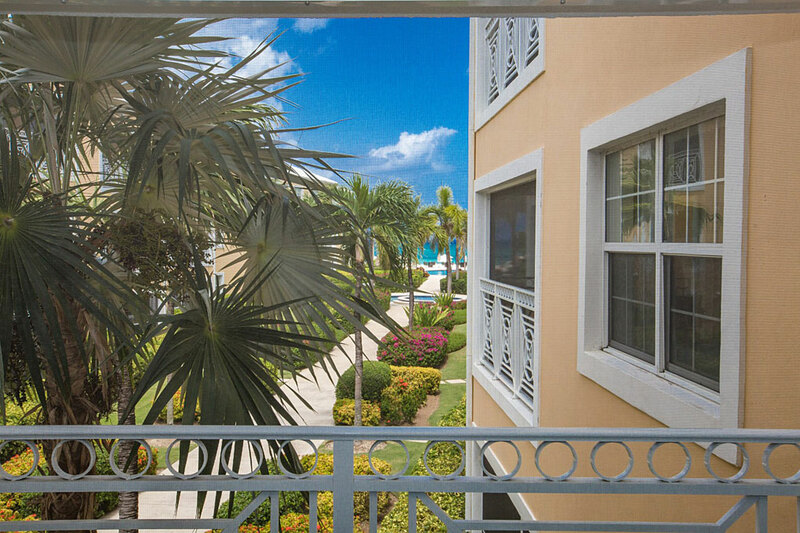 Lovely ocean views and views of the tropical gardens are yours to enjoy! 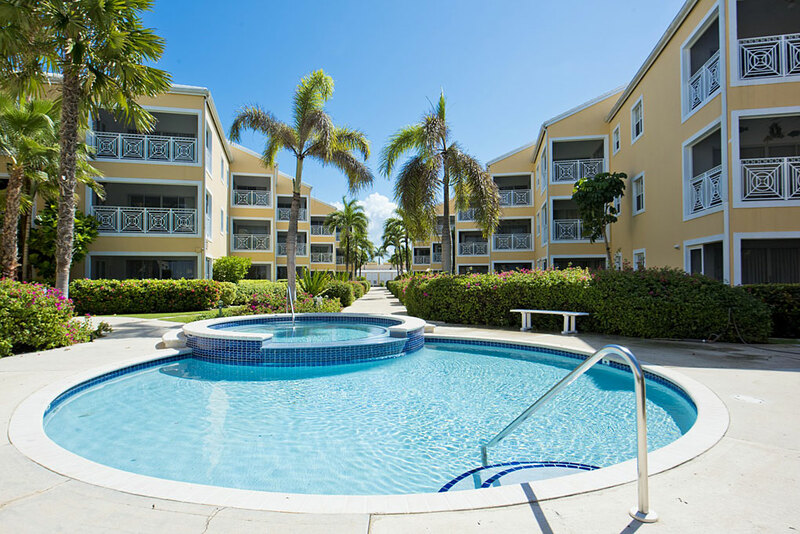 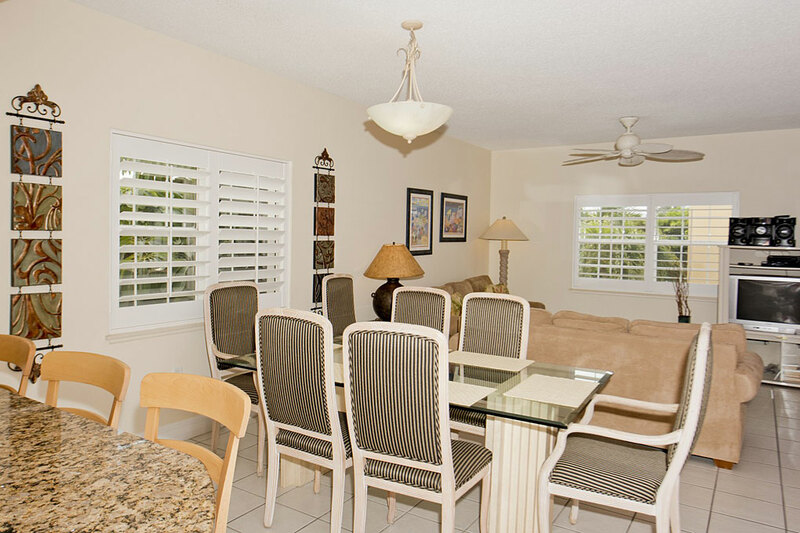 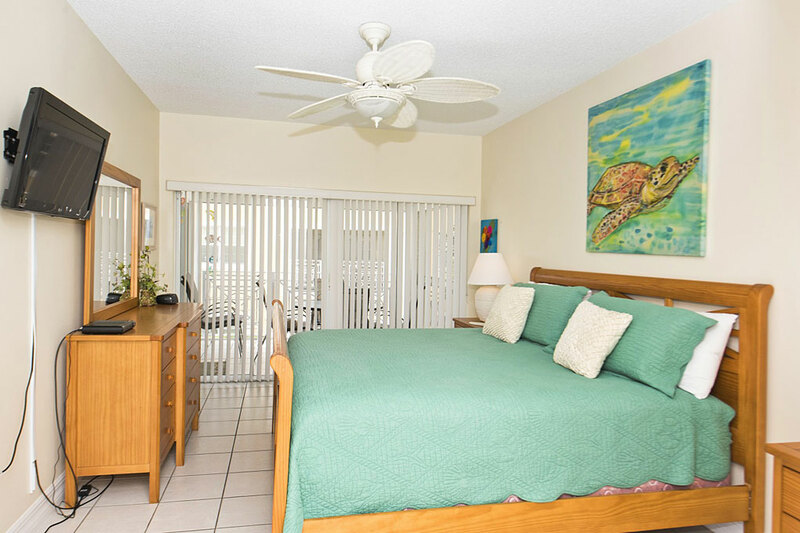 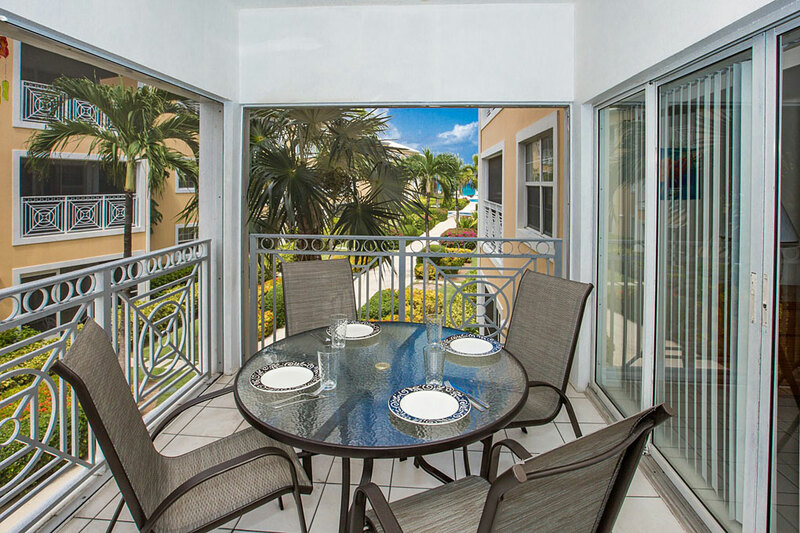 Enjoy the view of the ocean from the screened patio or take a leisurely stroll to the Seven Mile Beach.